The Beauty of Life: Beauty Question: What's Your Lipcolor Choice Today? 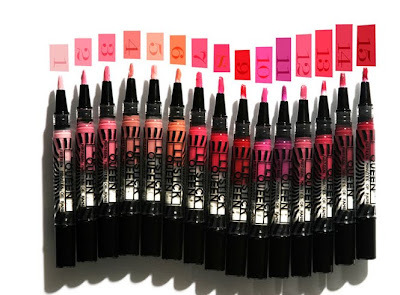 Beauty Question: What's Your Lipcolor Choice Today? Time to dish, ladies! What's your lipcolor choice today? I went with Lipstick Queen 15 Minutes of Fame Pop Art Gloss in 8 Minutes ($16.50) -- a gorgeous, juicy mix of strawberry and hot pink. I needed a little pick-me-up on such a dreary day! Let me know your lipcolor choice in the comments! Those lip colors look lovely! I went au naturel today because I was too lazy at work from this terrible weather!